If you’re thinking about doing a coffee rinse for natural hair, you might be wondering if it’s a good treatment for your hair and how to pull it off with success. Giving yourself a hair rinse can be a little tricky because they are not as straightforward as using a store-bought product, and there are no official instructions. But the process isn’t too difficult and there are many coffee hair rinse benefits that your natural curls could come to love. In this post, you’ll find out about the benefits of a natural coffee rinse, and how to get excellent results from this home treatment. What is a Coffee Rinse for Natural Hair? You’re probably already deeply familiar with coffee and you may even know it a little too well. People use coffee around the world to stimulate the nerves and sharpen the mind in the mornings, but why would someone want to pour it all over their head? You can use the water from roasted coffee beans or grounds as a final rinse for much of the same reasons that you’d drink it. Coffee dilates the blood vessels and stimulates blood flow when applied topically to the skin. So, many women around the globe swear by its ability to improve the scalp and hair. If you’re new to rinsing hair with coffee, just know that this potent treatment carries a ton of benefits for naturals—if you do it right. Hair Growth. Many queens swear by coffee for faster hair growth. The caffeine in coffee may be the perfect jolt to stimulate the follicle cells and increase activity. Decreases Hair Loss. Caffeine doesn’t only promote hair growth. It can help to stop shedding by blocking the buildup of Dihydrotestosterone (DHT). DHT is a byproduct of testosterone that damages the cellular structure of follicles in the scalp and contributes to erosion. Coffee can help to strengthen the follicle and the scalp’s ability to hang on to the root. Smoothens Hair. You may already know that coffee is acidic. In fact, coffee is more acidic than plain tap water and this pH level can help to smooth down cuticles in your hair. Flattening the cuticles can lead to more shine and softness. Reduces Breakage. Curly hair strands and open cuticles can easily rub against each other to form friction, tangles, and split ends. Coffee helps to make hair more manageable and reduces breakage by smoothening the cuticle and lessening friction. Healthier Hair and Scalp. Coffee is loaded with antioxidants and is anti-inflammatory. It contains several key hair vitamins: pantothenic acid (vitamin B5), riboflavin (vitamin B2), niacin (B3), and thiamine (B1). It also has manganese and potassium, a mineral known to promote hair growth. How Does Coffee Help with Hair Growth? Coffee is believed to promote healthy hair growth by increasing cellular stimulation when applied to the scalp. It effectively increases blood flow to the follicles and helps to strengthen the follicle cells. You’ll find out how to do the rinse below, but meanwhile, don’t throw your coffee grounds out! Coffee will have many uses in your beauty routine. The coffee grounds themselves can help to gently exfoliate the scalp and unclog the follicles. 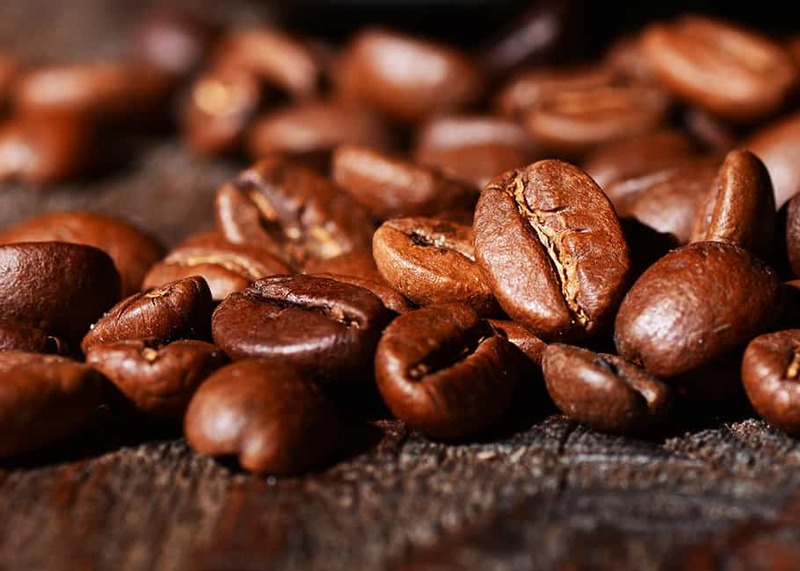 To use the coffee as an exfoliant, take a handful of the grounds into the shower with you and rub it into your scalp. Then shampoo. In addition, coffee helps to retain length by smoothing the cuticles and reducing the chances of friction and snagging. Hair loss can be devastating for women, especially when our society’s standard of beauty revolves around youthful hair and skin. Yet, many queens suffer from this condition. Alopecia can happen from multiple causes. Age, genetics, hormones, illness, and behavior such as pulling your roots too tight can all cause hair loss in women. It’s crucial to act immediately at the first signs of excessive shedding because you may be able to halt hair loss before the follicle completely erodes. Consulting with your regular doctor or a specialist is the first thing to do when you notice your hair is thinning. A doctor will be able to diagnose your condition and may even be able to reverse it. Next, you should also consider home remedies like the coffee rinse because you may be able to use these alternative methods to decrease shedding. Will a Coffee Rinse Darken Gray Hair? Most hair dye is full of chemicals that are bad for your hair and health. Hair color can contain chemicals like formaldehyde releasers that cause cancer and peroxide, which can damage curls. Naturally, many women look to alternative methods to change their hair color. But does coffee actually work to cover gray hair? The jury is still out, but it looks as though you can deepen the color of your grays and possibly get them to darken after several uses. However, it’s unlikely that a single coffee rinse will change grays. So, you may want to skip this rinse altogether if you’ve dyed your hair blond or another lighter color because the hair could lose its color vibrancy over time. Using coffee, tea, rice water, and apple cider vinegar rinses can cause a bit of confusion. Do you use the rinses before you shampoo or after you condition at the end of the wash day? Do you rinse with plain water afterward, or do you leave the rinse in your hair? In this section, you’ll find out how to make and apply a coffee hair rinse to yield the best results. You’ll need to begin by brewing a large, strong pot of coffee. A stronger batch with a good amount of caffeine will be excellent for circulating the blood and stimulating the follicle cells of the scalp. You may also want a bucket to catch coffee that falls after the first rinse so you can repeat with a second process. Brew strong coffee with the water and grounds using your usual coffee maker. Let the coffee cool and transfer it to a large plastic container or bottle. Cleanse your hair with your favorite shampoo and rinse. Place a bucket beneath you (optional). Pour the coffee over your head, while you massage it into your scalp. Allow the coffee to collect in the bucket. Pick up the bucket and pour a second rinse over your head. Massage the coffee into the scalp and hair. Cover your hair in a shower cap, then place a towel over your head to steam your hair with body heat. Leave the rinse in your hair for one hour. Rinse and follow with your favorite conditioner. Coffee rinsing can also help to maintain or deepen your dark hair color, but you’ll likely need several rinses to see a big difference. Wondering how often you should do the coffee rinse? Try testing it out once. If you like it, you can experiment with adding in more sessions during the month. Using the coffee rinse on your hair and scalp will likely be invigorating and highly stimulating for your scalp. Repeated use can help to prevent shedding, can help the hair strands to shine, and can promote hair growth. 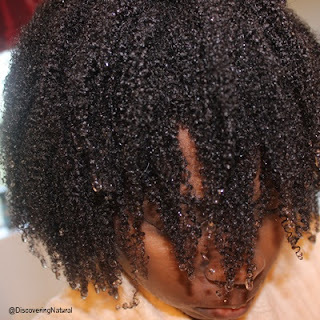 What do you think about the coffee rinse for natural hair, and will you try it?